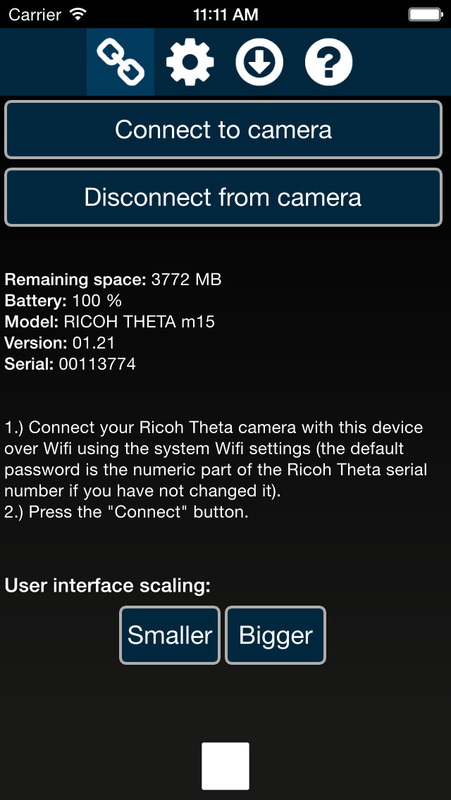 The Camera Control for Ricoh Theta app allows you to control the Ricoh Theta m15 camera over Wifi. 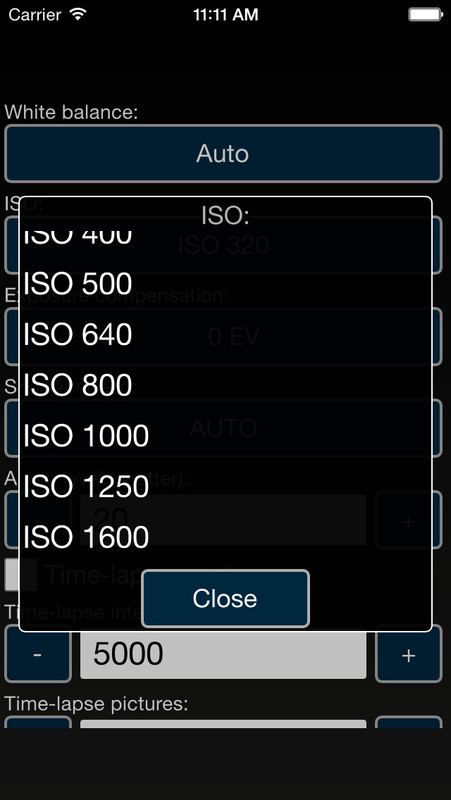 It supports changing of settings (such as shutter time, ISO, exposure compensation, time-lapse settings, ...), capturing, and media download. Control Ricoh Theta 360 degree cameras over Wifi. 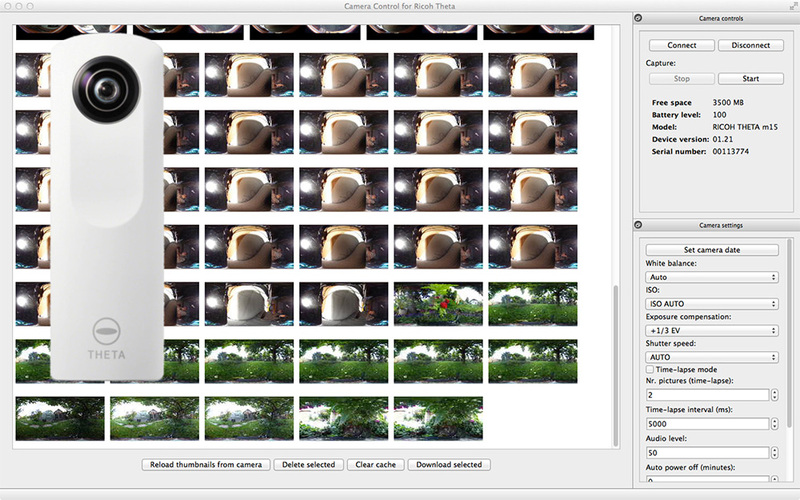 Capture photos, time-lapse, and videos. Compatible with Ricoh Theta and Theta m15 only. The app is not compatible with the Theta S. Please use the new app Theta S Remote control instead. Turn on the Theta camera either in video or photo mode. 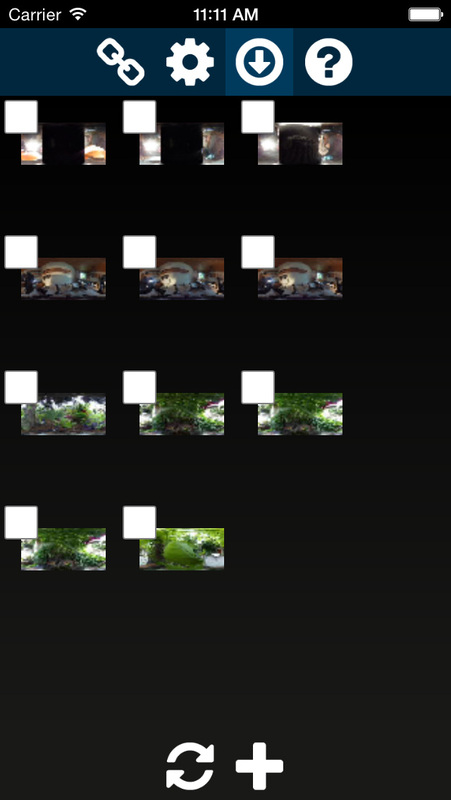 Connect the Theta with your device over Wifi (the Wifi password corresponds to the digits of the camera's serial number). Start the Theta Control app.